I am often asked by the guests the following question. Yes, I recommend , super recommend “shosha Enmyoji Temple”. many japanese people visit here for the pilgrim’s journey. located north of JR Himeji station. By Shosha Ropeway, takes only 4 minutes to go up. updated info by your self at official homepage of shosha ropeway. 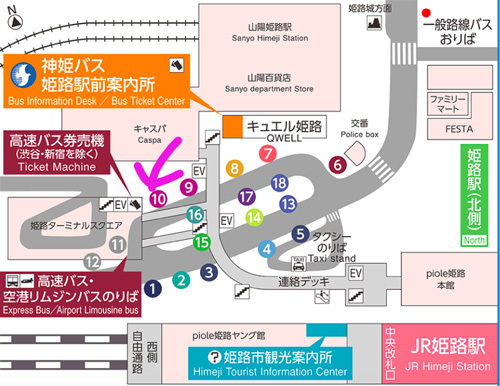 There are discounted set ticket of bus and ropeway(JPY1400) for shosha. I recommend you take bus from bus stop near Himeji castle. Please take No. 8 bus! Are you planning to visit Himeji this weekend??? temple, Please visit this gorgeous and beautiful festival! This festival takes place from October 21-22 each year in Usuki Hachiman Shrine in Himeji City in Hyogo Prefecture. On the night before the festival (10/21), at the Usuki Hachiman Shrine’s gate,They have the paper lantern display and on 10/22, 18 yatai are carried into the shrine. Carried by the most shrine parishioners in the Banshū region, 18 yatai make their entrance. You have to see these one-ton yatai raised above the men’s heads to the shouts of “Cho-sa!”! Please experience the autumn festival in Himeji! This is my favorite season in a year….”Autumn festival month “! each area have their unique MATSURI(festival ). , one of the biggest, and most famous matsuri around Banshu area. and, roughly, what going happen, you can check this site. safely, so please be Obedient and lets enjoy the matsuri together!!! 13&14OCT is Sone Autumn Festival! It is too late for posting..
Illuminated float are really gorgeous!!!! How to access is below! please click! On 08&09OCT 2017 , there are autumn festival in Shikama area! Today, I will introduce the autumn festival in Himeji! Everyweekend, matsuri festival is held. held in 13 OCT, 14OCT. you can enjoy the gorges illuminated scene like a movie. 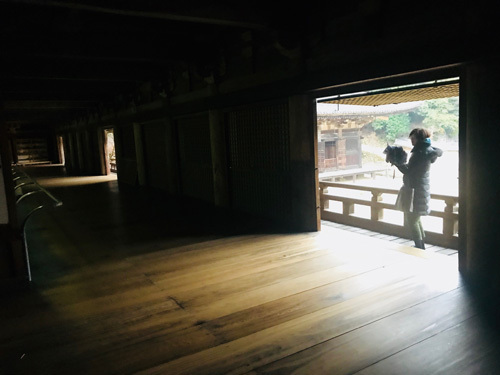 Please visit Himeji area and feel the vibes of banshu! Hello, this is Himeji 588 Guesthouse. Himeji is now in the autumn festival season. From 14th to 15th October , Nada Fighting Festival is held in the Matsubara Hachiman Shrine of Himeji, Shirahama every year. In this festival, each region will have its own portable shrine, and knock against the other regions’ portable shrines. Although there is no winner at the end of the festival, it’s still exciting and worth to join. Besides, the Nada Fighting Festival is the biggest Fighting Festival among the others in Japan. On 15th October, Neneya brought me and Vivien, who is a guest from France, to Shirahama and join this spectacular festival. First, we arrived at Matsubara Hachiman Shrine, and waited for the portable shrines. All portable shrines were well decorated. Indeed, decoration represents the respectful to the God in Japan. Besides, there were some Japanese local food stores near the Matsubara Hachiman Shrine. For example, octopus balls, fried noodle, hot dog, etc. All were delicious! After that, we climbed up a hill and waited for the fighting festival. First of all, it was a battle between 3 little portable shrines. They were divided into 3 groups, which were Elderly, Middle-age and Youngster. Afterward, the big portable shrines from 7 regions came on the stage. They knocked against each other together with the battle cry and drumbeat. It was very impressive. If you want to experience the traditional Japanese festival atmosphere, I do recommend to join the Nada Fighting Festival in Himeji, Shirahama. Not only the scale is bigger than the other festivals, but also there is only a few fighting festivals in Japan. From Sanyo Himeji Station, by Sanyo Electric Railway Main Line to Shirahamanomiya Station, and walk 200m. had drunk in Himeji castle at night! relax /running in the park! Isn’t it gorgeous time? Today, in aboshi -area we have final autumn festival! People bang the lantern at the end of festival! you choose the right place, in the right time! I like this festival cause I can see yatai-float so close!